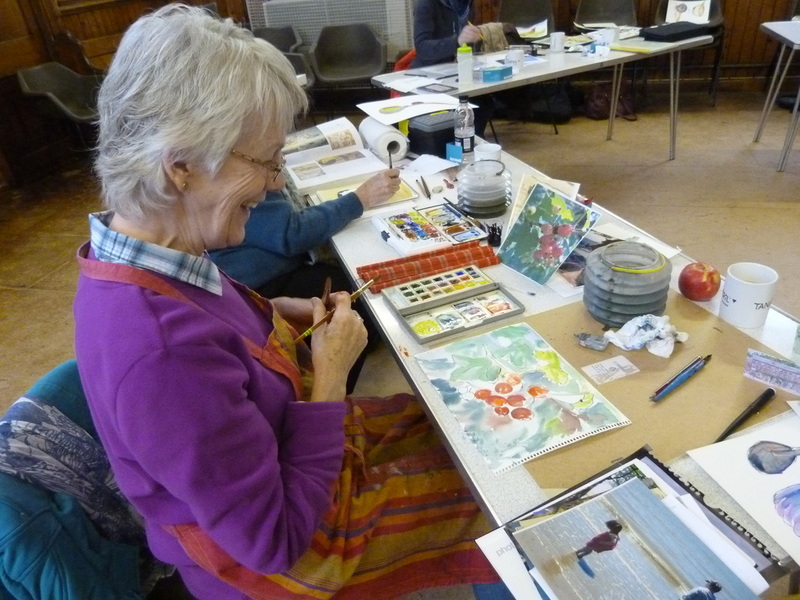 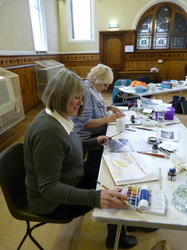 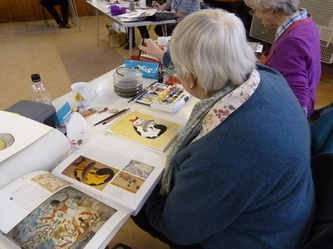 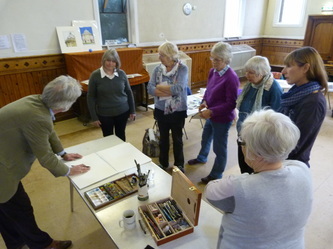 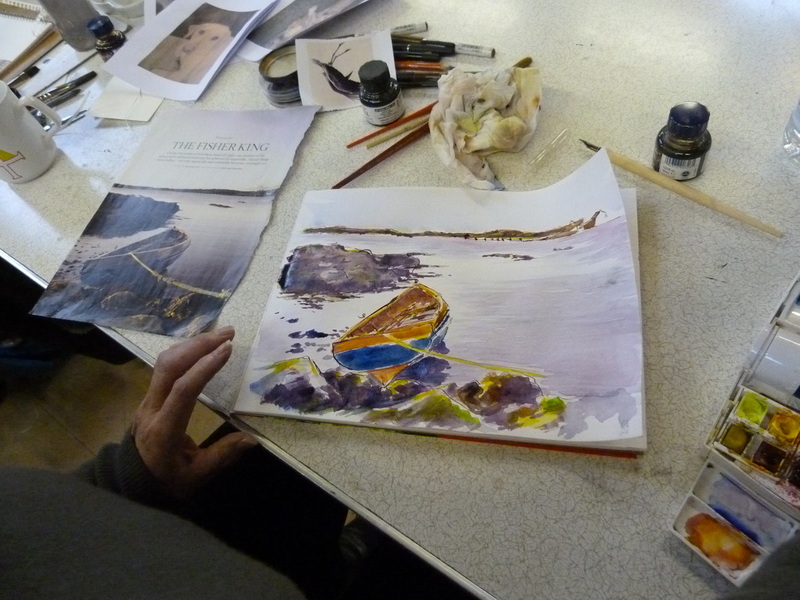 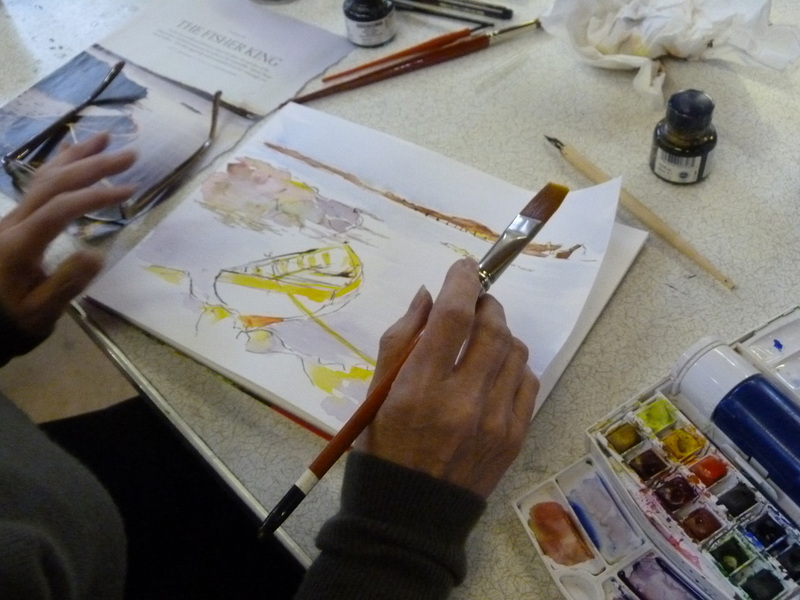 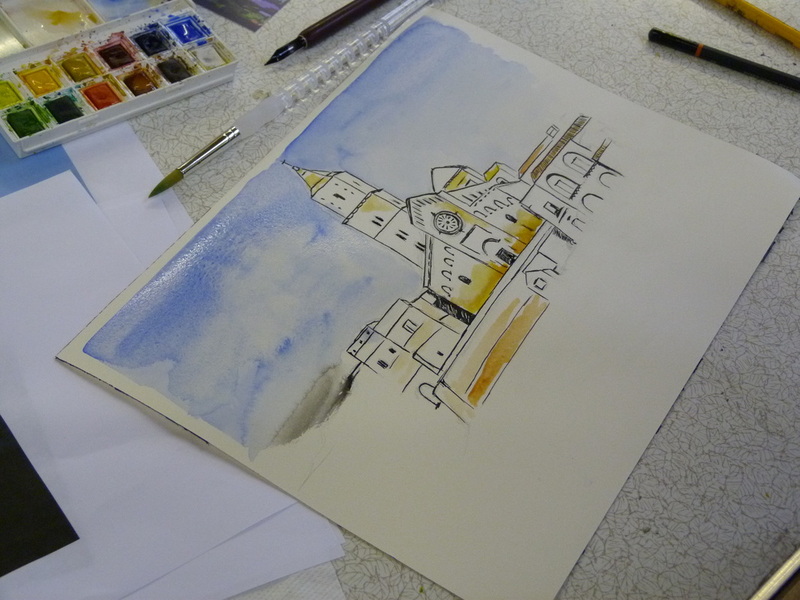 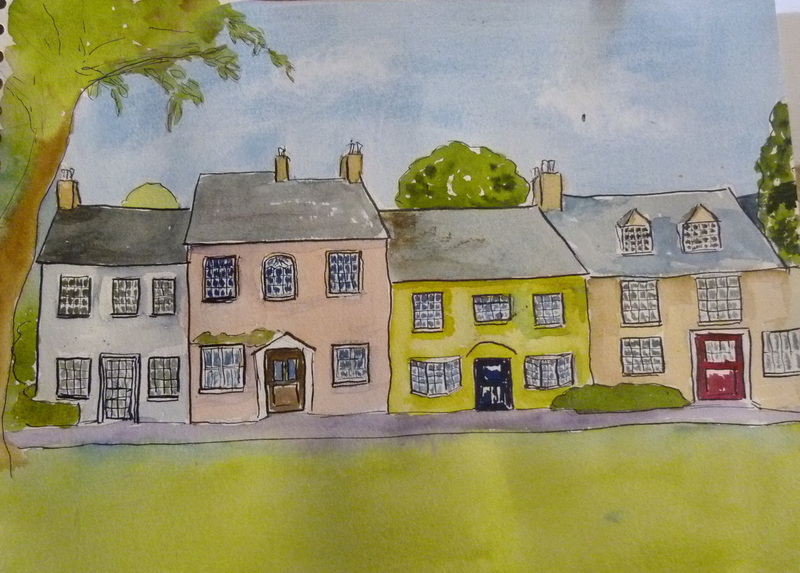 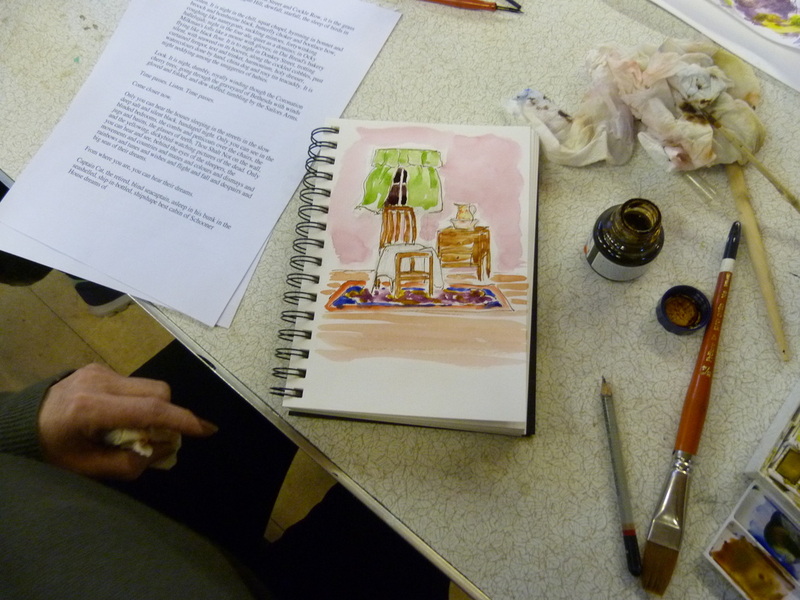 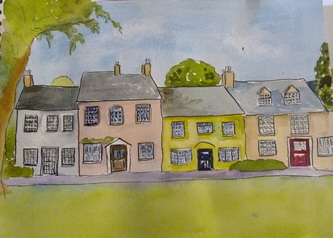 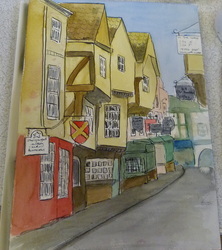 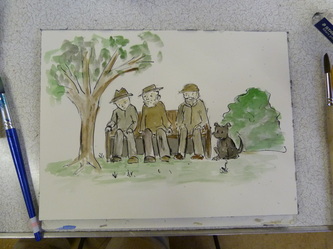 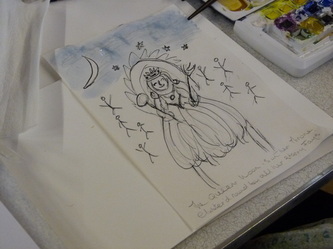 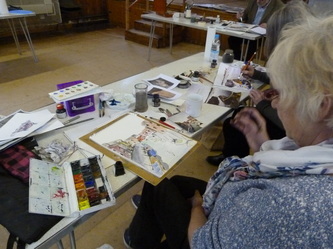 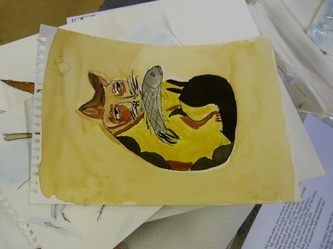 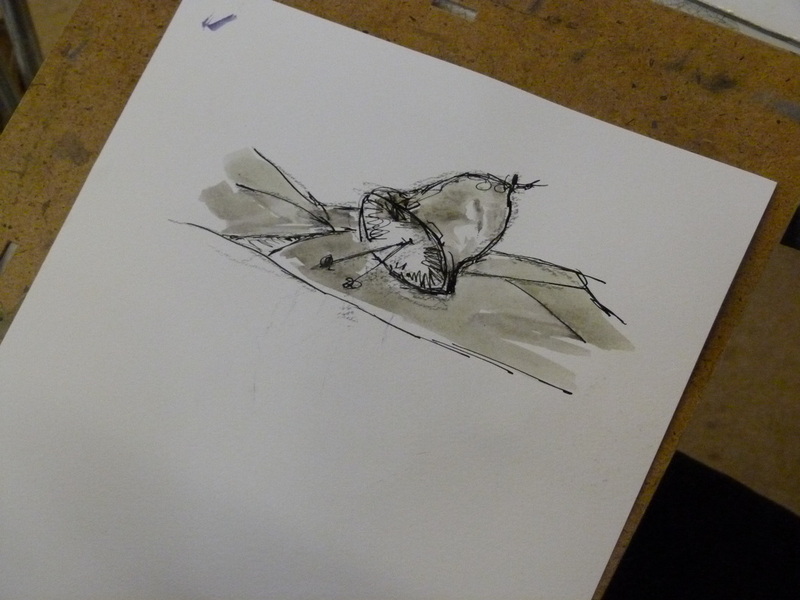 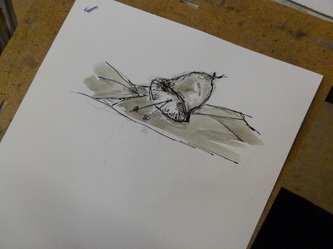 Saturday 16th November was the latest FAS workshop, "Pen and wash" with Stuart Roper. 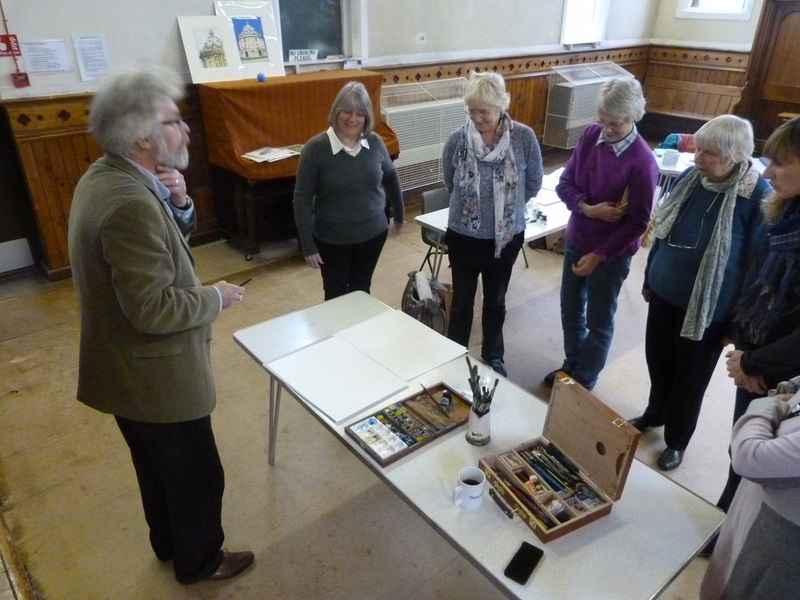 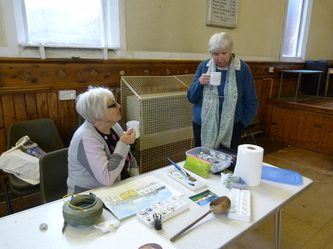 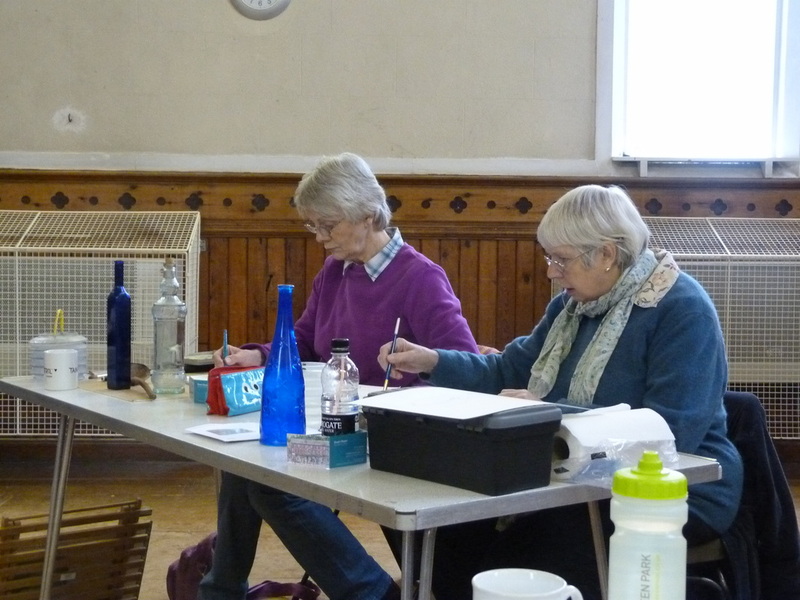 After watching Stuart's demonstration of using a dip pen and adding a watercolour wash, those who attended the workshop had a go at painting a wide range of items including bottles, teapots, musical instruments and pestle and mortar. It brought back memories of school days and trying not to put ink all over yourself and the paper! 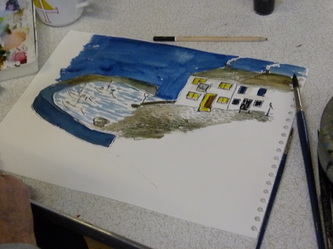 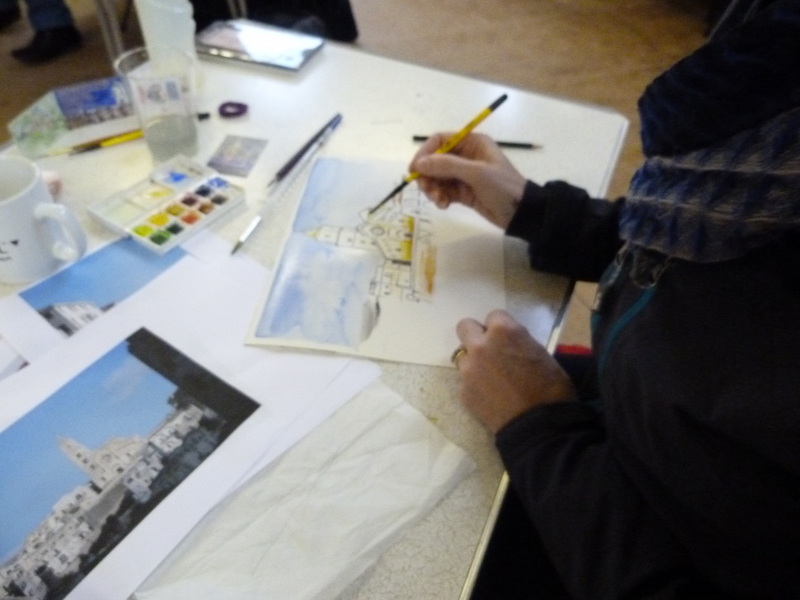 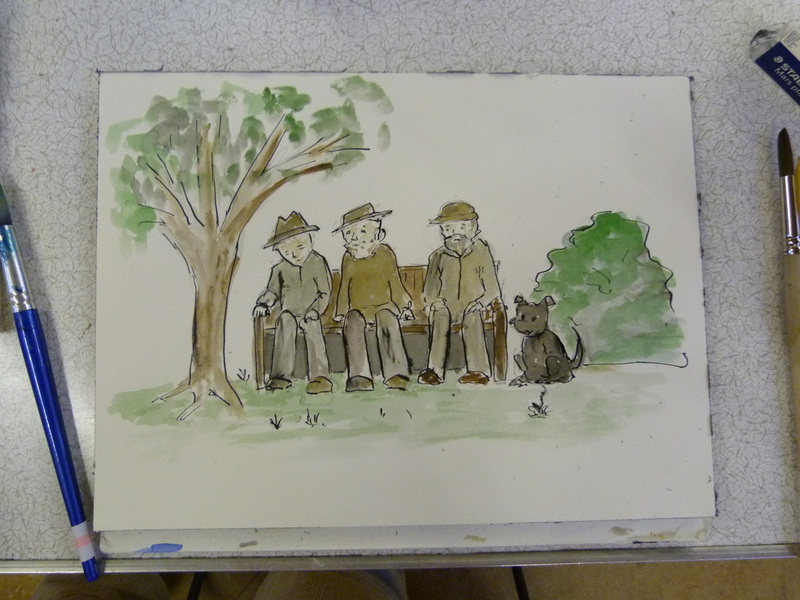 Next we attempted to paint a photo, the group had bought a variety of subjects to paint, landscapes, street scenes, cats and a pheasant.